Amid the intense activity of Downtown Los Angeles' current development boom, the 134-year old community of Little Tokyo has emerged as one of L.A.'s coolest places to dine, shop, find entertainment, and live. Charming, walkable and friendly, Little Tokyo is setting a new, more relaxing pace and invites everyone to experience its charm sometime soon. Visitors will find dozens of delectable food options, great bars, live performances, world-class museums, and shopping that is not only eclectic but also affordable. It is no wonder that new residents are moving into the area every day, and visitors in increasing numbers are discovering Little Tokyo's many hidden gems. Behind the bustling crowds and neatly arranged rows of restaurants, shops, offices, and residences is a colorful history that has shaped Little Tokyo since the late 1800s. For 132 years, this hearty community has survived everything from world wars to a roller coaster economy to emerge as one of Southern California's most popular cultural communities. Learn how it all began. 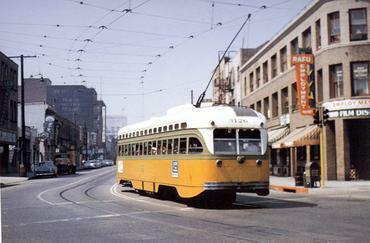 In the 1960s, buses on electric rails carried folks to and from Little Tokyo. This one is heading west on 1st St. and Central Ave. Ongoing - Saturdays 6:30 a.m. ~ Sundays 8 a.m. ~ Mondays 6:30 p.m.
Everyone is welcome. By donation. 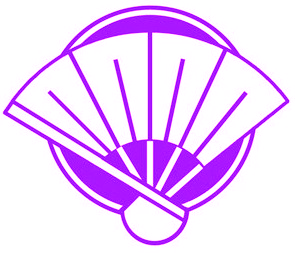 For more information, visit www.zenshuji.org. Starting point: Japanese American National Museum, 100 N. Central Ave. Learn about Little Tokyo's fascinating history and discover what's new about this culturally rich and emerging community. Guided by knowledgeable docents, this walking tour is conducted the last Saturday of every month, weather permitting. 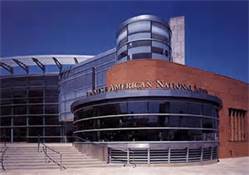 $15 fee includes admission to the Japanese American National Museum. Reserve a space. 203 S. Los Angeles St.
Mondays & Wednesdays 10 a.m. - 8 p.m.
Tuesdays & Thursdays 12 noon - 8 p.m.
Fridays & Saturdays 9:30 a.m. - 5:30 p.m. The Library is brimming with activity throughout the year, including teen game nights, anime club, anime drawing, Nisei story-writing, origami, English conversation classes for citizenship, computer classes, preschool storytime, toddler and infant storytime, Japanese storytime, and more. Click here for a complete schedule. After the forced removal and incarceration of all persons of Japanese ancestry from the West Coast during World War II, there was an unspoken shedding of openly Japanese cultural practices in America. Many Sansei (third-generation Japanese Americans) like Mark Nagata experienced only cursory participation in Japanese culture--mostly eating food and celebrating holidays. When Nagata was 9, an aunt and uncle serving on a U.S. military base in Japan sent him a box filled with colorful figures packaged with art-laden header and backing cards featuring alien-looking beings—kaiju (monsters) and heroes—engaged in battle. That seemingly simple gift sparked a passion that inspired Nagata to study art, to zealously collect vintage Japanese vinyl toys, to become a toy designer himself, and to help him recover his ethnic heritage. Two artists debate cultural versus institutionalized silence in this stage play directed by Dan Kwong and presented by the Japanese American Cultural & Community Center in association with the Nikkei for Civil Rights and Redress at the Aratani Black Box Theatre, 244 S. San Pedro St., Little Tokyo. This dramatic presentation utilizes ensemble storytelling, circus arts and archival footage from the 1981 Commission on Wartime Relocation and Internment of Civilians hearings to explore the complexities of how and why Japanese Americans broke their silence nearly 40 years after enduring the scars of mass incarceration. A hidden discovery in a hotel bathroom changes the lives of four Korean Christian girls on a mission trip to Thailand. Samantha is hurt that someone she trusted could betray her. Written by Anna Moench and directed by Jesca Prudencio, this excellent stage play is presented thru Wednesday, Feb. 24 at the East West Players' David Henry Hwang Theatre in Little Tokyo. 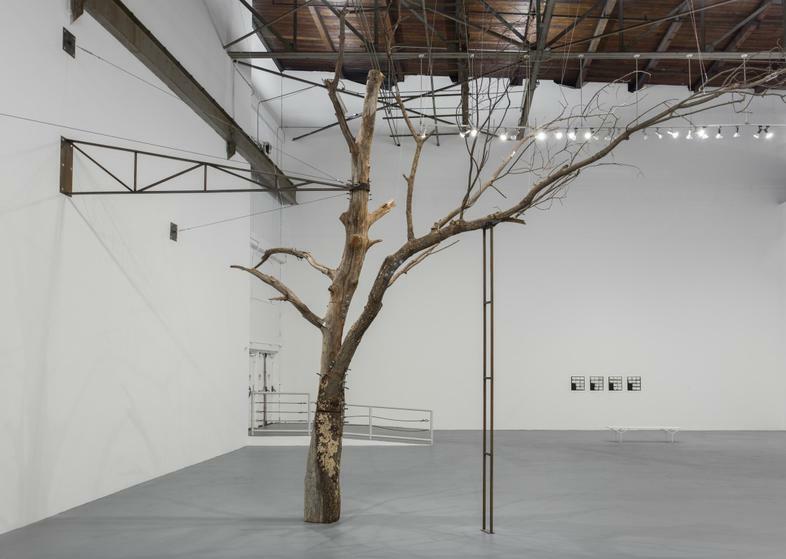 New York–based artist Zoe Leonard, who is among the most critically acclaimed artists of her generation, presents Zoe Leonard: Survey at the Geffen Contemporary at MOCA in Little Tokyo. The exhibition runs from now thru March 24. Over the past three decades, she has produced work in photography and sculpture that has been celebrated for its lyrical observations of daily life coupled with a rigorous, questioning attention to the politics and conditions of image making and display. Zoe Leonard: Survey is the first large-scale overview of the artist’s work in an American museum. The exhibition looks across Leonard’s career to highlight her engagement with a range of themes, including gender and sexuality, loss and mourning, migration, displacement, and the urban landscape. 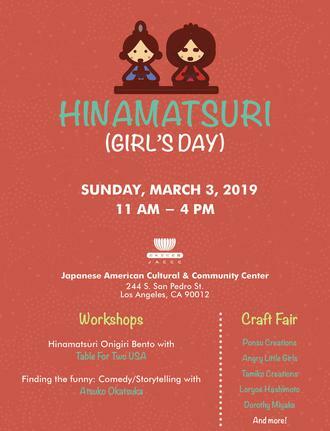 Sunday, March 3, 11 a.m. to 4 p.m. Learn to make fun, cute and tasty Hinamatsuri theme Onigiri (rice ball) bento! What does it mean to find levity in tragic situations? Time may heal, but can it help you laugh again?